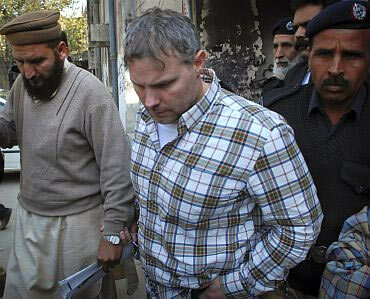 American official Raymond Davis, arrested for killing two Pakistanis in Lahore, may have headed a covert Central Intelligence Agency team that was tasked to secretly gather intelligence on the Pakistan-based terror group Lashkar-e-Tayiba, which the United States feels is getting out of the shadows of the Pakistan army to launch a campaign of jihad against it and Europe. By covertly monitoring the LeT, Davis might have stepped on the wrong side of the Inter-Services Intelligence that has nurtured the Lashkar for years as a proxy force to attack targets and enemies in India, the New York Times reported. The report said that since the ISI has backed the LeT, the Pakistani spy agency doesn't look kindly on America trying to bust it. The extraordinary swirl of recriminations that followed the Davis shooting episode confirmed for many Pakistan's suspicions that America has deployed a secret army of spies and contractors inside Pakistan. "It has also called unwelcome attention to a bigger, more dangerous game in which Davis appears to have played just a supporting role," the paper quoted American officials, who did not elaborate. "American officials are convinced that Lashkar is no longer satisfied being the shadowy foot soldiers in Pakistan's simmering border conflict with India. 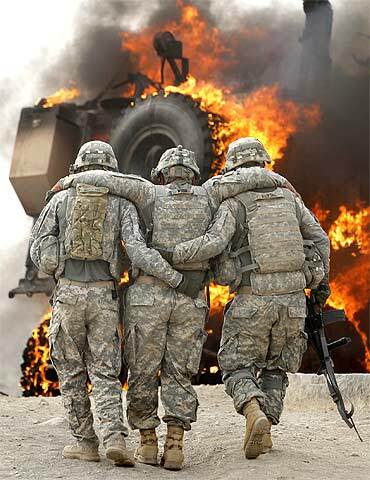 Its goals have broadened, these officials say, and Lashkar is committed to a campaign of jihad against the United States and Europe, and against American troops in Afghanistan," the NYT said. 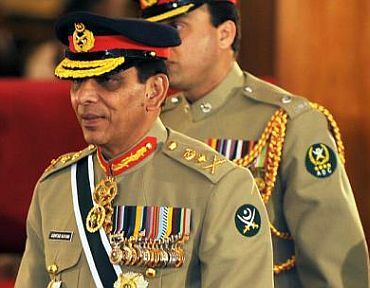 The Pakistan army's sensitivity to LeT, the paper said, could be evident when during a visit to Islamabad last July, Admiral Mike Mullen, chairman of the Joint Chiefs of Staff, declared Lashkar a 'global threat', a statement that no doubt rankled his Pakistani hosts. And so a group that Pakistan has seen for years as an essential component of its own national security, and that American counter-terrorism officials could once dismiss as a regional problem, has emerged as a threat that Washington feels it can no longer ignore. Given such a fundamental collision of interests, it was perhaps inevitable that Lashkar would one day provoke tensions between Pakistani and American security officials, and the collision itself would come into full public view. Rather than being a cause of the problem, Davis was merely an all-too-visible symptom. Lashkar operatives now operate inside Afghanistan, and have teamed with other militant groups to attack American troops, according to American intelligence officials. In February 2010, 18 people, including a number of Indian doctors and other foreigners, were killed in a LeT attack on their guesthouses. LeT has also bolstered fund-raising networks throughout Europe, especially in Germany and Britain, reported the NYT, which also said that counter-terrorism officials believe that the group is considering a 26/11-style attack in Europe. Due to ISI's support for the terrorist outfit, an attack by the group on the US could greatly strain relations between Islamabad and Washington. "There is a recognition that because of Lashkar's associations, an attack on the United States could wind up causing the Pakistani government extreme pain," said Seth G Jones, a political scientist at the RAND Corporations. Jones implied the possibility of using military force deep within Pakistan, according to the newspaper. Officially, Lashkar was banned by President Pervez Musharraf's government in 2002, and declared a terrorist organisation three years later by the United Nations. But it hardly operates like a group in hiding. 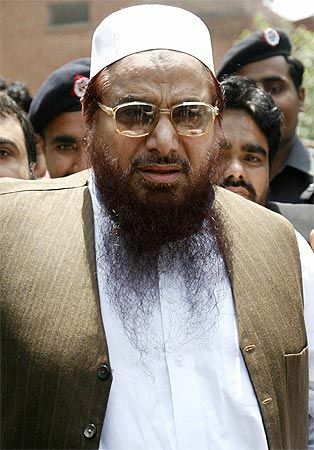 For instance, LeT leader Hafiz Muhammad Saeed reportedly gives regular sermons in Lahore on Fridays, denouncing what he calls the imperialism of the United States, Israel and India while flanked by guards. 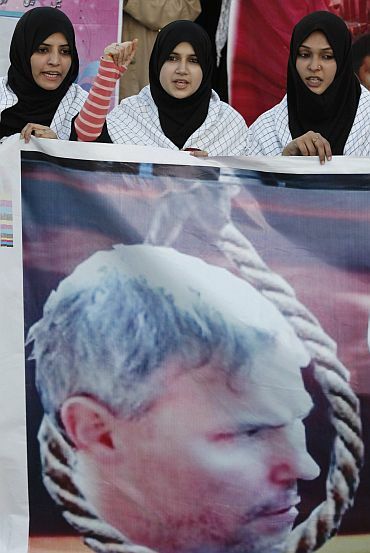 Saeed, who has been under house arrest several times, was set free by the Lahore high court in 2009. The newspaper further reported that the LeT's sprawling headquarters in Muridke, a Lahore suburb, "contains not only a radical madrassa and housing for the school's faculty members, but also a market, a hospital and a fish farm." Christine Fair, a LeT expert at Georgetown University, said the group has set up sophisticated networks throughout Asia to train dozens of sleeper operatives for attacks in India. In Thailand, for instance, Muslim recruits arriving from India are handed fake Pakistani passports for travel to Pakistan, where they go for several weeks of training, according to Fair, as reported by The Times. After the training, the operatives go back to Thailand, reclaim their Indian passports and return to India. Pakistan's military and ISI, according to the report, wants to hang on to groups like LeT and the Haqqani network to use them in India and Afghanistan after the American troops leave. Further, the Obama administration is no longer pushing Islamabad to sever ties with militants because previous such demands by the Americans have been ignored by Pakistan. The report also pointed out that despite their cagey relations, Islamabad and Washington still needed each other. "As much as senior Pakistani officials resent the billions of dollars in aid they accept from Washington, they believe that they can't turn away the money and hope to keep pace with their rival, India," the report said. Davis case: Will angry America cut aid to Pak?